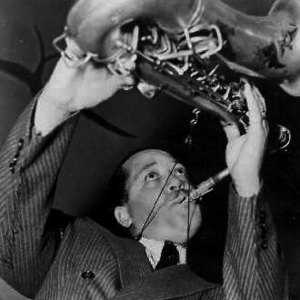 Lester Willis Young, nicknamed "Prez" (August 27, 1909 ? March 15, 1959) was an American jazz tenor saxophonist and clarinetist. He is remembered as one of the finest of the players on his instrument and for much of the hipster ethos which came to be attached to jazz. Coming to prominence while a member of Count Basie's orchestra, Young is remembered as one of the finest, most influential players on his instrument, playing with a cool tone and sophisticated harmonies. Since the days of Joe "King" Oliver, jazz has bestowed lofty titles upon its ace practitioners. Bessie Smith graduated from "Queen of the Blues" to "Empress of the Blues," Benny Goodman was proclaimed "King of Swing", there was a "Duke" Ellington, a "Count" Basie, and Lester Young was dubbed Prez (short for president, a title given to him by Billie Holiday). "We called my mother 'the Duchess,'" Holiday said in a 1959 interview, "so he [Lester Young] named me 'Lady Day' and I called him 'Prez'--we were the royal family." It has been suggested that Young was called "Prez" long before meeting her, but there is no evidence of this. Young was viewed as an eccentric by those he chose to exclude from his circle (those he did not trust). He did so by creating his own language that his friends could understand, that might baffle outsiders. Those on the outside viewed it as a rococo and often inscrutable personal slang, famously referring to a narcotics detective or policeman as a "Bob Crosby" (referring to Bob and Bing Crosby if multiple police officers were present), a rehearsal as a "molly trolley", and an instrumentalist's keys or fingers as his "people". He dressed distinctively, especially in his trademark pork pie hat. When he played saxophone, particularly in his younger days, he would sometimes hold the horn off to the right side at a near-horizontal angle, like a flute. Joop Visser believes that it was Lester's residence in the stuffy Reno Club with the Count Basie Band that caused this idiosyncrasy, as by holding it that way it was the only way Lester could keep his tenor sax from knocking into someone else's instrument. He is considered by many to be an early hipster, predating Slim Gaillard and Dizzy Gillespie.